A couple of years ago we shared the 5 best Apple Watch alternatives for both Apple iPhone users and Android phone users. However, the smart watch market has some new options so we’ve got an updated list of the 5 best Apple Watch users. This time around, the list doesn’t split into one set of alternatives for iPhone users and one for Android users. A few of these will work with an iPhone, but we wouldn’t recommend it. Also, some won’t work with Android. Instead of breaking this down for Android v. iPhone, we’ve got five categories of users based on your preferences and needs. This list will help you pick the right alternative based on your focus: function or form. Do you want a watch that looks better than the Apple Watch? 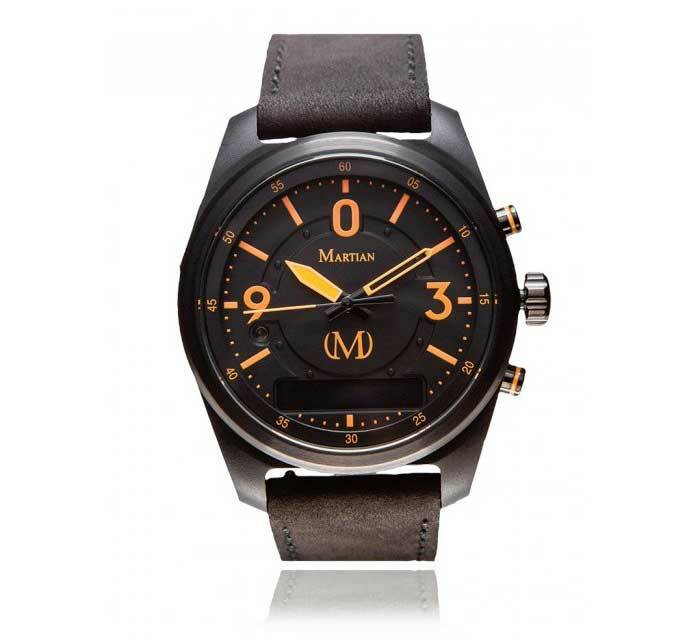 If you prefer Apple Watch alternatives that give you notifications, like the Apple Watch, but look like a typical analog face watch, then the Martian mVoice Smartwatch fits your tastes. It looks nice and still gives users some interesting functions. The mVoice name tells you one of the most important features of the Martian mVoice Smartwatch. Alexa from Amazon works with the mVoice giving the users access to a bunch of Alexa features. Set this up in the mVoice app on iOS or Android. You can also command it to make calls, send messages and more with your voice. The watch works with both iPhone and Android and interacts with Siri or Google’s OK Google command features. Need to get home? Then press the button and tell it to take you home and it will open either Apple Maps on the iPhone or Google Maps on your Android phone and navigate to your home address. People who want to attract less attention will like the strong vibration notifications from your phone’s apps and built-in features. An LED on the face also lights up to get your attention without making annoying sounds. The tiny OLED display shows the text of your notifications. Longer notices can get annoying since you have to wait for them to scroll by. If you set the watch to notify you, you won’t lose your phone. If it loses the connection to the phone via Bluetooth, the watch buzzes and the LED lights up to warn you that you’re about to leave the phone behind. When a notification goes away just tap the screen a couple of times. It will display earlier notifications. Add to this the great fitness features most smart watches offer and music controls, and this makes a great option for people looking for Apple Watch alternatives. Martian sells a few different colors and styles at $195 for most of them.